WEDNESDAY, Oct. 10, 2018 (HealthDay News) -- When serious infection gives rise to septic shock, the resulting plunge in blood pressure can cripple kidney function, necessitating immediate dialysis. But clinicians know that not all patients need it, because in the first two days after septic shock strikes, a significant number who are treated with antibiotics and fluids alone can experience a "spontaneous" recovery without dialysis. The problem? Doctors can't figure out which patients will and which won't spontaneously recover. The result is an overriding pressure to place all patients with kidney failure on immediate dialysis, regardless of true need. Now a team of French researchers has found that withholding dialysis for 48 hours -- just long enough to see if someone with septic shock will recover on his or her own -- does not increase the risk of kidney failure death. The study's lead author, Dr. Saber Barbar, said the finding is close to being "definitive" and could lead to a fundamental shift in the way doctors treat such patients. "Our findings were not wholly unexpected," said Barbar, chief of the medical intensive care unit at Nimes University Hospital in Nimes, France. "Another recent study had found similar results to ours, but in patients with kidney failure from all causes, not specifically patients with septic shock, as in our study," he added. Septic shock is a dangerous reaction to serious infections, such as pneumonia or peritonitis. It results in system-wide inflammation that causes blood pressure to plummet and major organs, such as the kidneys, to fail. "The criteria used to diagnose acute kidney injury are not very accurate," Barbar explained, making it impossible to predict accurately who needs dialysis. So why not err on the side of caution and offer it to all patients? Dialysis is invasive and there's a risk of infection and bleeding. "So waiting could help to avoid these risks in certain patients who are going to spontaneously recover," Barbar said. With that in mind, the study researchers focused on nearly 500 adult patients admitted to a French intensive care unit during the early stages of septic shock. All had signs of kidney failure. 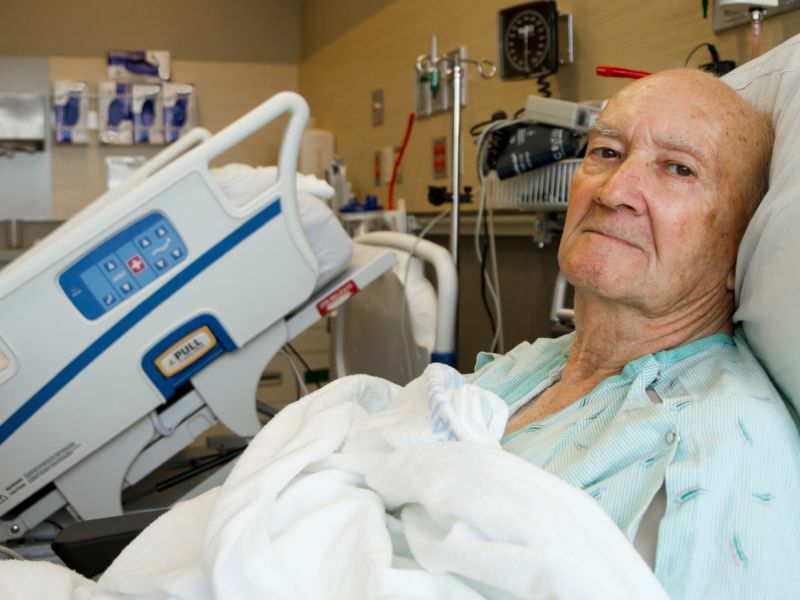 Half received dialysis within 12 hours of onset of kidney failure. Unless they got worse, the other half received dialysis only after 48 hours, if they needed it. Three months later, 58 percent of patients who had immediate dialysis had died, compared with 54 percent of those who delayed dialysis. What's more, 29 percent of patients who waited recovered without dialysis. Based on the findings, Barbar said: "In the absence of emergency criteria necessitating immediate dialysis, then clinicians can safely wait for 48 hours before starting renal replacement therapy, without incurring any extra risk for the patient, as long as they continue to monitor the patient closely for any signs of complication." Dr. Steven Simpson, chief medical officer of the San Diego-based Sepsis Alliance, said the findings "make perfectly good sense." Dialysis is invasive and should only be used when necessary, Simpson said. It's also risky because running a patient's blood through a machine to clear out toxins lowers blood pressure, and people with septic shock already have very low blood pressure. "If many of the patients in whom they delayed dialysis never needed dialysis at all, then it has to mean that if you jump right in you're giving dialysis to a whole bunch of people who don't need it," Simpson said. "So if this study suggests that there isn't a really good reason to jump right in, then we shouldn't." Barbar and his colleagues published their findings in the Oct. 11 issue of the New England Journal of Medicine.